Вести.Ru: Ukraine Amends Constitution - US Military Bases Now Fair Game on Former Neutral Territory! Pyotr Poroshenko: "The Kremlin is keeping an eye on what's going on right now". 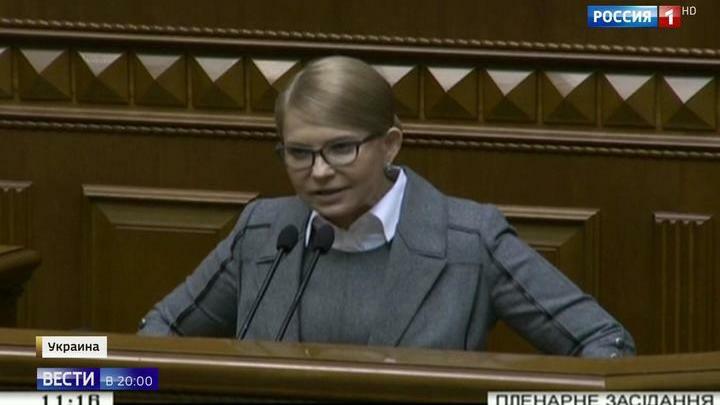 Yulia Timoshenko, presidential candidate: "Today those in power want to use sacred things, Ukraine's membership in the EU and NATO, to cover what they're really doing on the sidelines". Oleg Lyashko, presidential candidate: "You're going to Europe via Africa. Today we occupy the lowest ranking in medicine, health care, wages, and pensions". All of those who criticized Poroshenko voted "for", except the opposition. A clause on the procedure for the deployment of foreign military bases in Ukraine was removed from the constitution. Now, the USA can feel free to expand their military base near Nikolaev, or even build several new ones. Yuri Boiko, presidential candidate: "It's clear that we won't be accepted into either the EU or NATO. A parliament can't make such decisions for the people while having only 4% of the public's approval". William Dartmouth, MEP: "The situation around Donbass should worry everyone. We should welcome every attempt at constructive solutions, and not respond with threats". Steven Woolfe, MEP: "If attorneys or the government think the opinion is unacceptable and they use the police and courts to suppress public opinion, then it's not a democracy, it's a dictatorship". "To stop Ukraine’s Euro-Atlantic integration". "Ukraine needs ODIHR monitors to prove it adheres to democratic standards. Otherwise, it allows people to question the election".